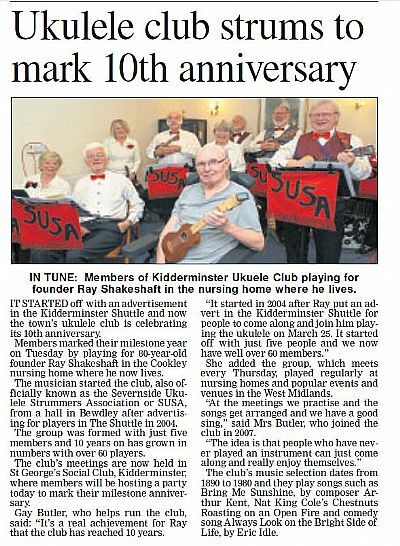 Severnside Ukulele Strummers Association, SUSA, have an annual anniversary bash to celebrate the 'birthday' of the ukulele. 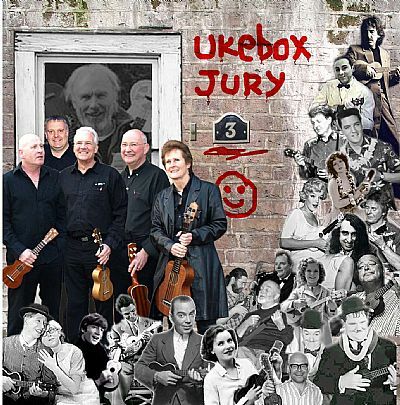 This year it is on 23rd August at the Bay Horse, 29 Hartlebury Road, just outside Stourport , DY13 9JA. The party runs from noon until around 3pm. We will be outside if it is dry and inside if it is wet or cold. The pub does good value meals, snacks. As the kitchen was in danger of running out of things last year, they have asked if we could give them some idea of what we would like. Menus are attached. If there is something you particularky want to eat give the pub a call.